What's the best way to get your small or medium sized business online? And, how do you do that without a huge development budget and time? Los Angeles-based Gumiyo (www.gumiyo.com) has been developing mobile websites for SMBs and publishers for a number of years, and recently started to offer up self-service tools to make it easy for those customers to create cross-device mobile websites. We caught up with founder and CEO Shuki Lehavi to hear more on where he sees the mobile market, and to learn about where SMBs are on the mobile adoption curve. What is Gumiyo up to nowadays, what does your business looks like? 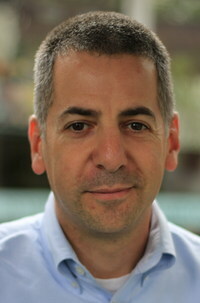 Shuki Lehavi: Gumiyo originally focused on connecting buyers and sellers in the mobile medium. We're still focused on that space, but also focused on the delivery of information, and making sure consumers get the large publishers and taking content and delivering it to devices. We're also working with technology companies , but sixty to seventy percent of our business is still around the SMBs. It's fascinating to see how quickly the SMB adapts to next generation technology products. A great example of that is probably Square, and to see how within a year, Intuit's goal was to go from 30K to 60K units. During the same period of time, Square went from 10K units to 1.1 million units. It shows you when you address the SMB and work with the SMB, they have a tremendous appetite to get to mobile and to get to your device, and to implement new technology solutions. The challenge is, with SMBs, which hasn't change in the last ten or twenty years, is it's all about cost and complexity. What Gumiyo is doing today is we're delivering cross device solutions to SMBs, that are very easy for the SMBs to get started on, and very cheap. One product we are launching right now is MySiteAnywhere. It's the next generation of websites for small and medium sized businesses. It's a website that works on your TV, on your PC, on your tablet, and on mobile, and effectively allows you communicate across the board with any customer. They can get to you with a QR code, an SMS code, a domain name, and it provides analytics, ability to target, and social, and everything you need for $15.00 a month for the SMB and a configuration process that requires no technical skill. If you have a really good product, which addresses the cost problem and technology problem, you can go into mass adoption. You've now been in the mobile market for awhile--what have you learned about the mobile market in honing the business? Shuki Lehavi: Mobile is such a broad term today. It includes tablets, soon to include in-car display and TVs and whatnot. In this world of connected devices, I'm happy to say, is we're past the hype. We were years in a market where very "creative" ideas were circulating around, confusing the average buyer of technology, both the buyer at the enterprise as well as the SMB. They just didn't know what to choose. You might remember Bluetooth broadcasting, and these kinds of things. Happy to say, we're past that. We're past that because every SMB and technology decision maker now holds a mobile device, and is very comfortable with that mobile device. That was not the landscape five to 10 years ago. I remember walking into a car dealership back then and teaching the guys how to use their mobile phone. Today, that's not the case. The buyer has caught up. The buyer of technology at SMB or enterprise knows what they're asking for and what works. You're moving from hype and buzz into something sustainable. That created two things for us. Customers are looking for something that works. They're not experimenting anymore, they're in buying mode. They're telling us they're looking for this and they want it to work this way. The second thing, is when you go to the enterprise buyer, or larger organizations, they're willing to pay a premium. Their budget, when we did projects, to enable technology companies and publishers it used to be $2000 setup and $750 a month. Well, we still offer that package, but recent few $50K to $60K setup and $6K a month. Mobile buy today is significantly larger. The one thing we need to figure out as an industry, is how we tie the last mile in interest to identify the customer and a transaction. There are exciting technology solutions there. Mobile brings very good value to SMBs today. Where are SMBs on the mobile adoption curve today? Shuki Lehavi: I'm always surprised to see they are farther than the industry thinks they are. They're not afraid to try mobile technology today. I see they are worried about two things, honestly. One is they are worried about the ever connected consumer. We work with car dealerships, and the car dealerships see that a customer walking on the walk looking at his phone, they know that customer is comparing car prices with every other dealer around, because they can get it on a mobile device. When a real estate agent is talking to a customer, that customer is already on a real estate destination, checking comps. Businesses are implementing their mobile solution, because they know if they don't have a mobile solution, the customer is going to use their customer's mobile solution. The second thing is that business owners are themselves super powerful mobile users. The average real estate agent uses their phone way more than they use their desktop computer. Their desktop is in the office, they're 90 percent on the road. They understand if they go to their own website, and they see they can't navigate from a mobile device, they understand the poor experience is something they're subjecting their own customer to. The same goes for any business. Look around and see how many businesses say scan this QR code or visit us on Facebook. Those mobile experience are now the way they get engagement and how customer claim coupons. The average business is now very comfortable buying mobile solutions, and are way past the early adopter phase. What's the biggest difference you see in where the split is between enterprise and SMB customers? Shuki Lehavi: The one word is data. The average business is looking for a low risk, low friction solution they can deploy and reaching customers on every device that integrates with social and local. They are looking for low friction. Enterprise is looking at everything they've done for the last ten years, their ticketing system, their inventory management system, their calendaring system, and they want to bring all that wealth of data into a few inches of screen. They are worried about now getting that data on the screen. The average dealer is worried about consumers not being able to schedule an appointment from their mobile device. He knows that when your car breaks down, you will have your mobile phone next to you. If you can't schedule an appointment, from your mobile device, right now, I can't guarantee you'll remember to schedule and appointment and you might go to another dealer altogether. Enterprise is looking to take wealth of data, applications they've developed over the last 10 years over the web, from chat, deep video, to scheduling appointments, to showcase their inventory, to showcase their catalog, to allowing you to buy tickets--all of these enterprise components, and bring them into mobile. Shuki Lehavi: MySiteAnywhere marks the first direct self service product we've launched for our company. We're going very aggressively towards self service. We believe the market today is sophisticated enough that an average business owner and publisher will go the self service route. The amount of handholding we had to do over the last three years is reducing. It's an opportunity for us to scale our business much faster. It takes us less and less time to deploy a customer. Since we've built a very scalable infrastructure, you can now leverage that same infrastructure so you get yourself a mobile solution in a minute, or two, or three, but you can be assured that from a scalability, hosting, and device coverage is as good as our biggest and strongest enterprise client. That's what we're focused on. We're very focused on taking our tools, and packaging them in a non-technical way, and giving it to small businesses, publishers, and others.